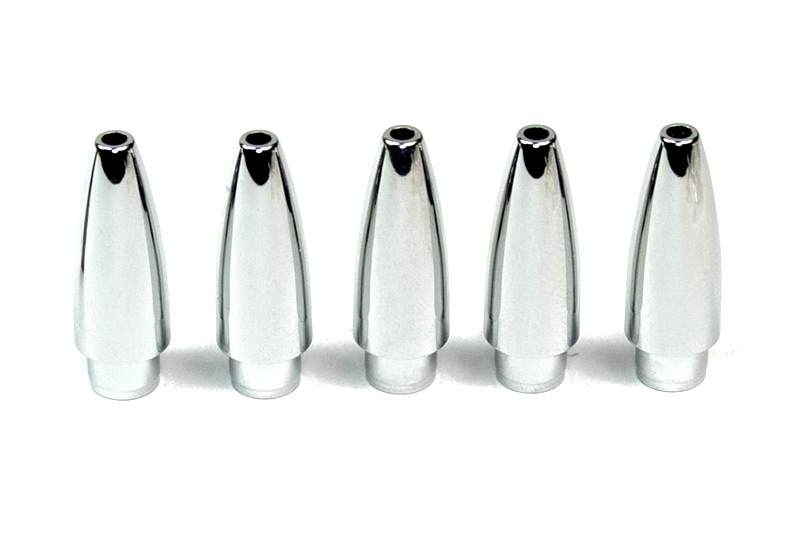 Bear Tooth Woods is proud to offer these exclusively designed bullet nibs for the slim (and other 7mm based pen kits). We had the molds for these nibs created just for us. 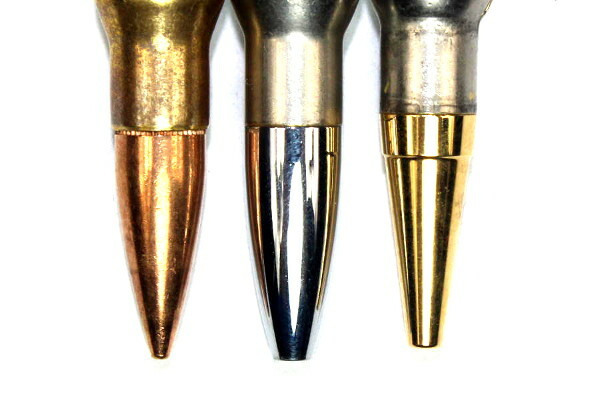 They are designed to closely mimic the profile of a tangent ogive found in .308 bullets. Sold in packages of 5 nibs. 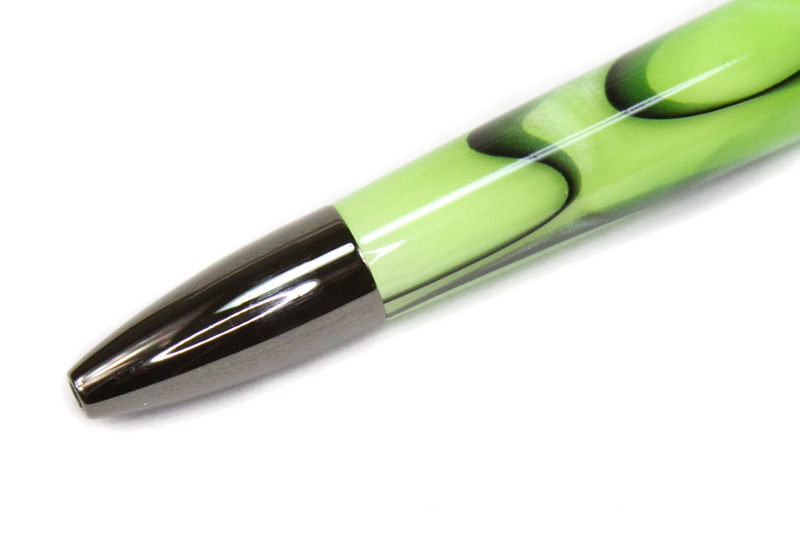 These nibs are .33 inches in diameter so you can use them with the standard slim (1A) bushings. 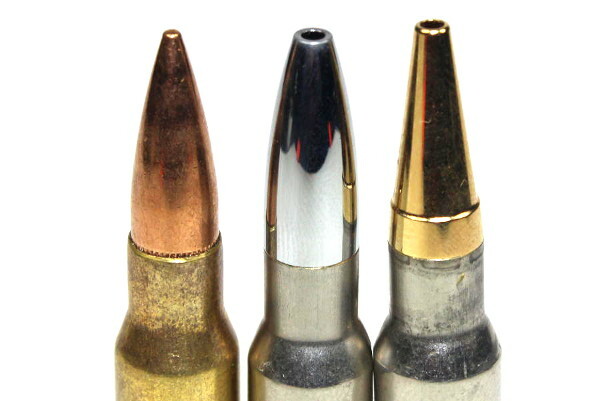 They also very closely match the exterior neck diameter of a .308 or .30-06 case. 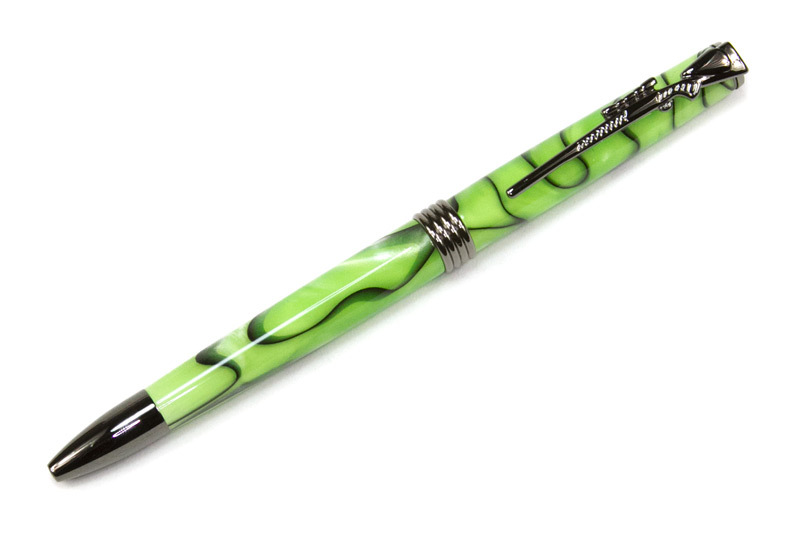 These nibs are the perfect complement for your real cartridge case pen kits. With the scoped rifle clips and other slim pen parts we sell, you can design your own real cartridge case pen kit. Available in 5 different platings: gold, black, chrome, gunmetal, and copper.